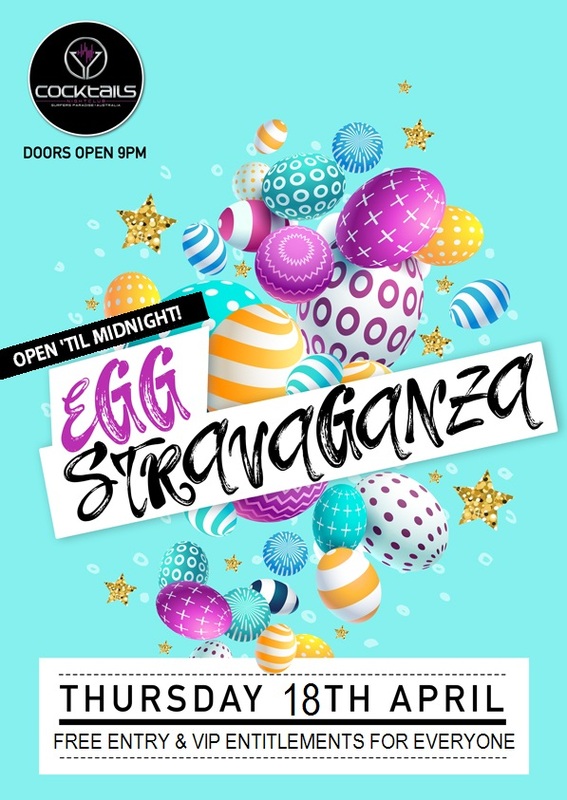 Cocktails Nightclub Surfers Paradise Events Easter Egg-stravaganza! Thursday 18 April: Easter Egg-stravaganza! We will only be open until midnight so be sure to come in early and stock up on some Easter Goodies with FREE Entry and VIP Benefits for everyone! 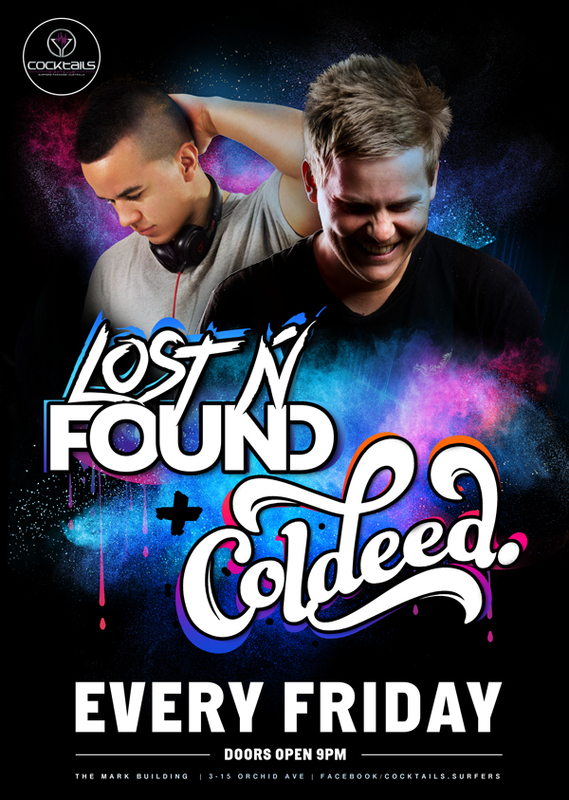 DJ Coldeed will keep you dancing through the night and our awesome staff will keep the tasty drinks flowing!